The Ninja Coffee Bar® System is an amazing system! 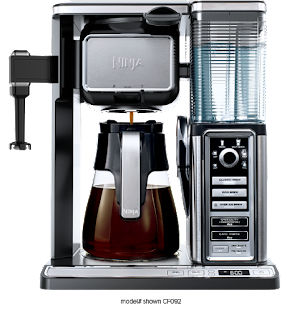 I love that I can make gourmet coffee at home with ease thanks to the Ninja Coffee Bar® System. It's built-in hot & cold frother allows me to make my delicious frothy drinks right at home saving me tons of money each month. I also love how beautiful the Ninja Coffee Bar® System looks in my kitchen. It's beautiful design would look terrific in any kitchen. The Ninja Coffee Bar® System is incredibly easy to use and I was able to get up and running within a few minutes. 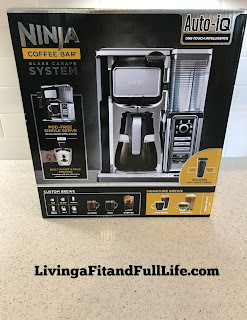 My husband was amazed when he walked into the kitchen and saw me drinking my cup of coffee because only moments ago had I taken the the Ninja Coffee Bar® System out of the box. With so many coffee drinkers out there, the Ninja Coffee Bar® System would make a terrific housewarming gift and is sure to please it's recipient! Click HERE to learn more about Ninja Coffee Bar! Follow Ninja Coffee Bar on social media!